We have no knowledge of this Ottis other than what is in his KHS profile. 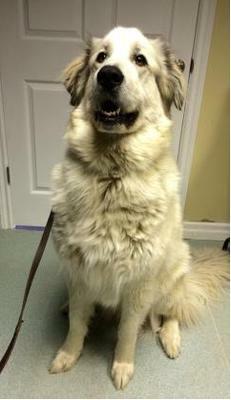 Please contact the Kingston Humane Society for more information on Ottis. "Ottis" is over 100lbs of love and fur. He is an extra large boy who to give hugs to the people he loves. Ottis was surrendered because he became slightly protective of his last families farm. Because he is such a large dog, they didn't know how to work with him. Ottis is very loving, and true to his breed may guard a property. He would benefit from an experienced owner to curve this behaviour appropriately. Through Ottis's stay at the shelter, he has been nothing short of wonderful. We are looking for a breed experienced home for Ottis with older children, who preferably has another dog. Ottis loves to play. He appears to be house trained at the shelter, and needs regular grooming to keep his coat in tip top shape. Ottis is not available to an apartment or town house home. He's truly happy on a rural property. 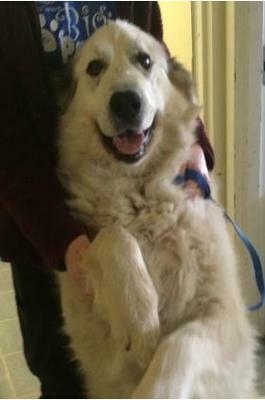 Looking for 100lbs of love? He's your boy - stop by KHS to meet him today! This pet also comes with 6 weeks of pre-paid pet health insurance. For more information please visit www.ospcainsurance.ca or call 1-866-600-2445. Please contact the Kingston Humane Society for more information on Otis.